Life Legacy: Joseph K. Graves, 76, of Peachtree City, passed away September 14, 2014. 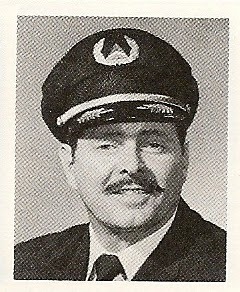 He served his country during the Vietnam War with the United States Air Force and later was a pilot for Delta Airlines. He is survived by his wife Martha; sons Brandon and Devon Graves; sisters Barbara Glaser, Martha Moore and Betty Backfield; brother James Graves and several nieces and nephews. A Funeral Mass will be held Saturday, September 20, 2014 at 10 o’clock at Holy Trinity Catholic Church. Burial will follow at Westminster Memorial Gardens. The family will receive friends Friday at Mowell Funeral Home, Peachtree City from 5:00 until 7:00 p.m.